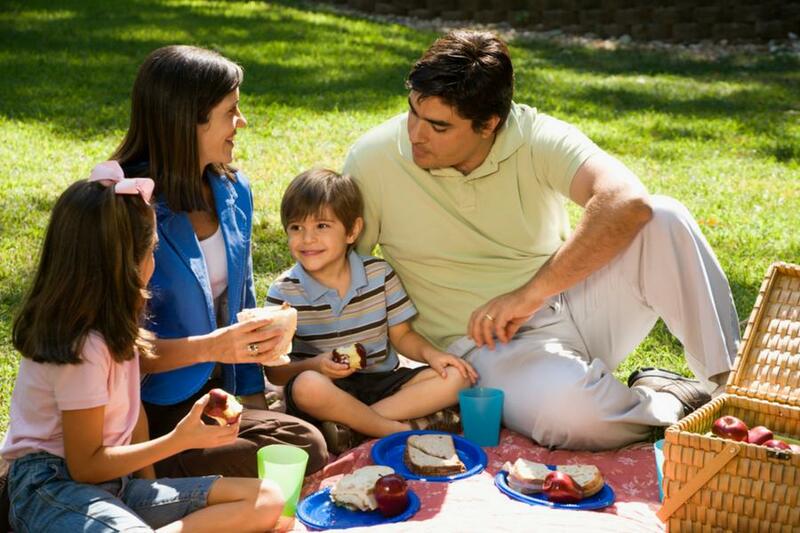 We are looking for best picnic spots, once the summer kicks out and the sun comes out. Nothing can beat eating outdoors with your family. It’s fun! The proximity of Dublin to the Irish Sea lends the air a whiff of idyll. The villages near the sea captivates the visitors to stay and bask in the tranquility of the area. There are pockets of greens all throughout the city, providing a welcome respite to the city’s vibrant urban activity. There are castles and castle grounds for people who wish to take in Dublin’s gorgeous landscapes. Ardgillan castle is a favorite picnic area of both adults and children. Acquired by the Dublin City Council in 1982, through the efforts of the late Senator John Boland, it is known for its impressive rose gardens. It lies adjacent to the towns of Skerries and Balbriggan. The fabled bridge of the Lady’s Stairs serves as the entry to the beach at Barnageera where people can bathe. Take in the sea breeze and have a picnic in one of its expansive lawns, as you take in the impressive view of the coastline, including Skerries and the Rockabill lighthouse. For variety, you may opt to try its walkways and protected woodlands. The fishing village of Howth is a popular haunt for walkers and for picnic lovers, for its picturesque view of its cliffs, the Baily Lighthouse and the Lambay Island. You may take a leisurely stroll down the pier and be treated to views of the Ireland’s eye. You will never run out of things to do in Howth. You have the option to explore its sandy beach and be in awe of the view offered by the Dublin Bay, or go bird watching. You may also get a firsthand experience in fishing. The picnic may sometimes have the additional bonus of seal sightings! Uphill is the majestic Howth castles and gardens, another great spot to set up your picnic table. The impressive landscape of Killiney Hill Park entices visitors to a day of frolicking and relaxation. The Hill’s highest point at 170 meters above sea level, is situated at the obelisk, which offers magnificent views of the whole Dublin coast. The park is enriched with the abundance of various native plant species and robust trees of Beech, Pine, Sessile Oak and Sycamore. The place has a fair share of wildlife, with lots of birds like warblers and Chiffchaffs. The Malahide Castle is situated in the charming seaside village of Malahide. Originally intended as a fortress, the castle has been a private home for centuries. Its age, perhaps, is the reason for the curious mix of architectural styles it displays. Guests can view their exhibits, designed to see the walled gardens through the eyes of the person who created it, Lord Milo Talbot. The Talbot house with its romantic structure, tells the stormy history of Ireland through the portraits of the Talbot family hanging in the Great Hall. This 250-acre parkland houses the beautiful Talbot Botanic Gardens. If the shopping district of Grafton tired you out but you only have an hour or two to spare, St. Stephen’s Green is the perfect location to put your feet up. Ideal for picnics, this famous park is the largest among the Dublin squares, with an area of 22 acres. A prominent and thoughtful feature in the park is the garden for the blind. The unique garden blooms with fragrant plants specifically chosen for the purpose of giving a sensor experience. Each of the plants were selected for its tactile properties and are meant to be touched. A placard in Braille identifies the plants. Sir Edwin Lutyens designed four lovely gardens in the country. One of them is the Irish National War Memorial Gardens, made as a tribute to the Irish men and women who offered their lives for the country during the First World War. Illustrated manuscripts by Harry Clarke containing the names of all of the brave soldiers are kept in the granite book rooms of the gardens. The Gardens are defined by its herbaceous borders and sunken rose gardens. Robust trees surround the area, making it conducive for picnics. The Gardens also plays an important role in commemorative peacekeeping events and ceremonies. The Phoenix Park is the home of the Dublin Zoo, established in 1832 and is the oldest zoo in Europe. The zoo has been the place of choice of many Dublin residents and visitors for generations. It also boasts of small parks and gardens, such as the formal “People’s Garden”, and a popular hollow park where concerts are held during summertime. There is the Victorian tea room for those who wish to experience high tea. There are cycle and nature trails for hikers and bikers. The more daring can try climbing the 62-meter obelisk, the highest in Europe, up to the site of the Wellington Monument. At the base are bronze reliefs from melted cannons from the Waterloo battle. Polo and cricket matches are also held in the park. Being one of the least known parks in Dublin city does not in any way diminish the beauty and splendor of the Iveagh Gardens. Its relative obscurity adds to the charm of this well-preserved park with a diverse landscape of woodlands, archery grounds, rookeries and rockeries. The sunken panels of lawn featuring a fountain in each of the center, rustic grottos, the maze and rosarium are also some of its notable features. A visit to the Merrion Square might find you looking at the reclining statue of famous novelist Oscar Wilde, one of the park’s most famous residents. Names of the other personalities who were once occupants of the square are engraved in plaques in front of their houses, like in the house of Daniel O’Connell and W.B. Yeats. The colorful flower and shrub beds serve as a pleasant backdrop for picnic area. Also, the place is teeming with art works on Sundays, when artists hang their works for sale. The park is a refuge for people longing for tranquility. The well-kept gardens and the evolution of streetlights used by the city in the last century further adds to the historic significance of the area. Located beside St. Patrick’s Cathedral, the park was named after St. Patrick, who was believed to have baptized the first Irish Christians on the park’s grounds, with water coming from the River Poddle. It holds a children’s playground and picnic grounds. Literary parades featuring works by Wilde, Yeats and different literary geniuses are held regularly. The Dublin corporation, now Dublin City Council, is responsible for the park’s maintenance.